Even though all types of dogs can develop various behavioral problems, small dogs are more prone to this, as their owners usually lavish care upon them. They treat them as small and helpless babies, instead of treating them like dogs. Unfortunately, in spite of having good intentions only, our dogs can end up having unpleasant behavioral issues. The best way to avoid dog behavioral problems is to educate and socialize them from an early age. 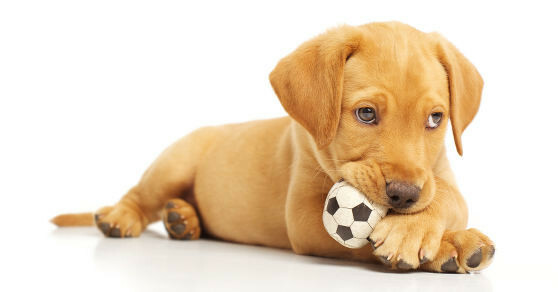 It doesn’t matter if you have a Chihuahua or a Great Dane puppy, as both are dogs and should receive proper training. By being patient, calm, and assertive, you can educate any dog breed. So, don’t avoid such processes just because your dog is so “small and fragile”. In order to become aware of the behavioral problems that can develop in the case of small dogs, take a look at the following lines. You will have the matter described, together with tips to manage it. This is one of the most frequent behavioral issues found in small dogs. Because small dog breeds were specifically created for companionship, the majority of small dogs can’t take being separated from their owners for too long. Thus, if you have a busy schedule and you’re away most of the day, your dog can develop separation anxiety. In this case, the stress of being alone and not being with its owner puts a lot of pressure on the dog. Thus, it will look for various activities to ease its discomfort. Unfortunately, most of these activities mean damages for the owner. A dog suffering from separation anxiety can chew on things, bark and howl excessively, scratch doors and walls, or do its duties inside. Managing such an issue takes time and patience. Punishing the dog is not going to help, even if you may find a lot of mess when you return home. You need to be calm and work with your dog on this. You need to make out of your departure an insignificant and careless aspect. For example, when you’re getting ready to leave. Do it in a calm manner, like it’s something you don’t care about too much. Mind your dog and don’t give it any attention, no matter how it behaves. Ideally, you should offer it toys that will keep it busy when you’re away, like toys that hide snacks inside. Excessive barking is also a common problem among small dogs, especially since some small dog breeds are known for barking a bit too much. Well, when living in an apartment building, such a problem can be very disturbing for everybody, not just yourself. While barking is normal for dogs, as it is their form of communication, when it is done excessively it can turn into a pest. Dogs bark excessively when they are overly protective of their home, when they are excited, or when they are left alone. To correct such a behavior, you will need to pay attention to your dog. When it starts barking without an obvious reason or the intention to stop, you should correct its behavior. Say “no” in an assertive and unequivocal manner. You could also use a leash in order to get its attention if you have troubles with it. Don’t forget to reward the dog as soon as it gets quiet and calm. Is your dog peeing spontaneously as soon as you return home or when it sees a friend or family member? This is caused excitement urination and it is triggered by the high levels of excitement experienced by your dog. Submissive urination, on the other hand, happens when the dog is stressed or scared of someone or something. As you can see, in both cases there’s a factor that makes the dog unable to properly control itself. Small dogs are more prone to develop this kind of problems because they can get scared easier or they are too excited when they see you return home. Still, it is worth mentioning that excitement urination is mostly seen in puppies, so there are high chances the dog will grow out of it as it matures. If it doesn’t, you should identify the sources of excitement and remove them. So, if you know that your return at home is triggering this, be calm and don’t offer your dog any kind of attention as you enter the house. Avoid eye contact, talking, or touching it. Keep a calm state of mind and even if you have to clean up, doing it in a quiet manner. Give your dog attention only when it also reaches a calm state. Besides training and education, getting a puppy of high genetic quality will also minimize the occurrence of behavioral problems. This is due to the fact that dogs bred in a responsible manner are balanced from all points of views. If you want to find happy, healthy, and well-balanced puppies, visit CharlotteDogClub.